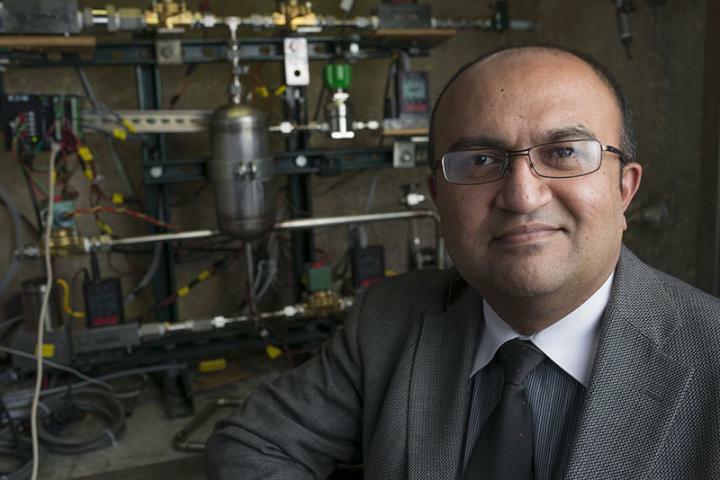 Professor Mayuresh Kothare, Chair and R. L. McCann Professor of Chemical and Biomolecular Engineering at Lehigh University, has been elected as a Fellow of the American Institute of Chemical Engineers (AIChE). Fellow is AIChE’s highest grade of membership and is achieved only through election by the AIChE Board of Directors. Selection as a Fellow is a recognition of service to the profession and significant professional accomplishment. AIChE Fellows have demonstrated long-term excellence in chemical engineering and have accomplished success in process, product, or theoretical developments, project leadership, management, education, or other activities related to chemical engineering. Dr. Kothare’s research expertise is in the areas of systems dynamics and control, and process modeling. His research publications have over 7900 citations and have earned an h-index of 33, marking him as one of the leading experts in the world in his fields. Among his awards are the prestigious CAST Award of the Computing Division of the AIChE and election as Fellow of the IEEE. Mayuresh has also been a strong, positive mentor to the many graduate students who have worked under his guidance as well as being one of the consistently highest ranked professors in our undergraduate educational program. Dr. Kothare serves as chair and professor of chemical and biomolecular engineering, and aws professor of bioengineering, at Lehigh University. He also serves as visiting professor of biomedical engineering at Johns Hopkins School of Medicine. His interdisciplinary areas of interest span the problems of constrained and optimal predictive control theory, robustness analysis, MEMS and microchemical systems, control of microsystems, embedded control of biomedical systems, neuroengineering and closed-loop neuroprosthetic systems. Kothare is currently serving as an Associate Editor for IEEE Transactions on Systems, Man and Cybernetics: Systems. He has previously served on the editorial boards of Automatica, IEEE Transactions on Automatic Control, the American Control Conferences, and as Guest Editor for Journal of Process Control. A member of the IEEE, AIChE, Sigma Xi, and the American Association for the Advancement of Science, Kothare has also served as 2013 Chair of the Computing and Systems Technology (CAST) division of AIChE. His awards include the CAST division Ted Peterson Award, the CAST division Outstanding Young Researcher Award, as well as the Alfred Noble Robinson Award and P. C. Rossin and Frank Hook Professorships at Lehigh. He is also recipient of an NSF CAREER award, and was an invited attendee at the 2008 Frontiers of Engineering symposium of the National Academy of Engineering. Kothare earned a bachelor’s degree from the Indian Institute of Technology, and master and doctoral degrees from the California Institute of Technology.